Things Men Have Told Me About My Body: A Zine. “Why does anyone feel like they can comment on bodies that don’t belong to them, particularly female bodies? The zine features 30+ anonymous submissions of cat calls, drawings, prose, and more, all compiled, edited, stapled, and carefully laid out by Red Velvet. I’m super-proud to be included in this zine and hope more editions are forthcoming! If you want to buy it (a mere two doll hairs, people), head to her Etsy store. 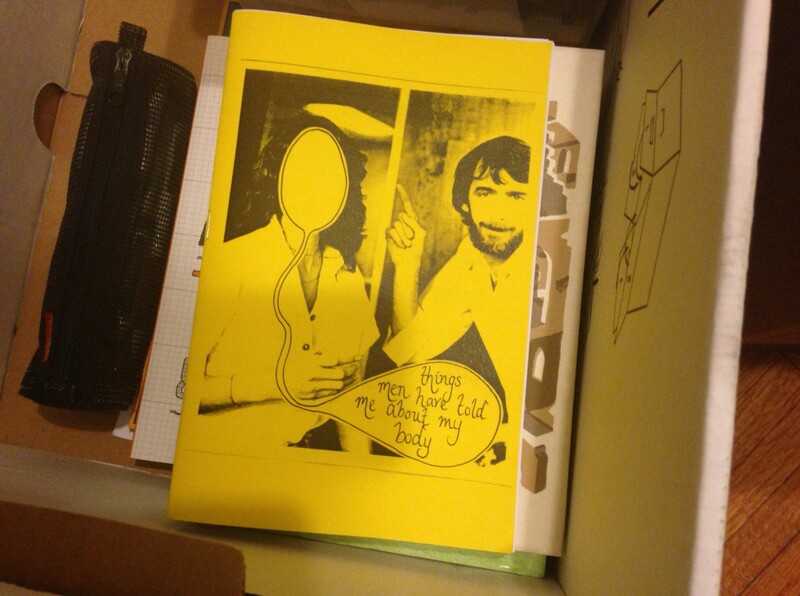 The first photo above is me packing this zine to take to some feminist writer friends in Oregon. Your new style would just be Japanese austerity.